Generally when we talk about Chinese Independent Schools, our understanding is that these schools are largely funded by the Malaysian Chinese community. The medium of instruction in these schools is Mandarin with simplified Chinese characters writing. The United Chinese School Committees Association of Malaysia coordinates the curriculum used in the schools and organizes the Unified Examination Certificate (UEC) standardized test. I am taken by surprise to find out that the Chinese Independent Schools are slightly different in the northern region, at least in Penang Island. With a twist of faith, these schools give me new hope. I couldn’t believe it at first when a friend of mine told me that two of the Chinese Independent Schools offer the IGCSE O level classes. I do not know out of the 60 Chinese Independent Schools in Malaysia, how many offers this course. But what I know for now is that Han Chiang High School and Chung Ling High school in Penang offer this course. If not mistaken Poi Lam High School in Ipoh also offers IGCSE O level classes. Han Chiang is entering it third year of offering O level course whereby if not mistaken, 2nd year for Chung Ling. The fees for this course is slightly higher than the normal UEC classes but still far cheaper than private and international schools. Han Chiang has 5 IGCSE classes whereby Chung Ling only has one. No news on whether they will add on another class for 2015. In order to enter to these two schools, there is an entrance exam. For Han Chiang, the entrance test is different for O level and UEC students. I do not know how the entrance exam for Chung Ling would be as the students cannot choose to go O level class but assigned to that only class based on entrance exam. I also found out that there is a English medium UEC class offers by Han Chiang. Whereby apart from language subjects, students can learn the other subjects (maths, sciences, history, geography) in English starting from Junior 1. Penang Chinese Girl School also has her own unique characteristics and it’s the cheapest among the four. PCGS is the only Chinese Independent GIRL school. Some parents prefer this as they feel that being in a girl school can eliminate a lot of teen’s boys/girls relationship problem. Phor Tay High School is the only Buddhist Chinese Independent School throughout the whole nation. At the moment, it’s not in our choice list even though we are Buddhist. I just feel that a Buddhist school does not suit my girl’s personality and characteristic. Hubs and me had visited three of these schools. Though many recommended us to go Chung Ling, but somehow the school environment did not give us a good warm feeling on first impression. Nevertheless, we have paid RM20 for the entrance exam which would be held in 28/9. We have not decided if we shall proceed to sit for the exam. Hubs was impressed with PCGS. The school looks welcoming. Warm , clean and bright. We noticed that the girls are given opportunity to be part of all the activities and events and are very capable and hands on. We attended the open day briefing. I doubt hubs understand what the principal has to deliver as it was done in Mandarin. We like it that the school has special programs for girls. Workshops and classes on etiquette and even grooming. Still we aren’t really sure if it suits JS. Majority of the teachers are Chinese. In fact 98% of them are Chinese. The whole school culture may be too Chinese for our banana family. Another concern is the distance of school and home. PCGS and Phor Tay are located at the northern eastern side of the island and our home is at the southern eastern part. Logistically it is not ideal. We can’t really tell the traffic condition during rush hour. We paid RM50 for registration. We could easily secured a place by paying the first month fees, but we weren’t really sure. At least now that we have paid Rm50, shall there be no more place, we will still be in the wait list. I can’t remember the number of classes for each form. It’s just a small scale school with small class size. 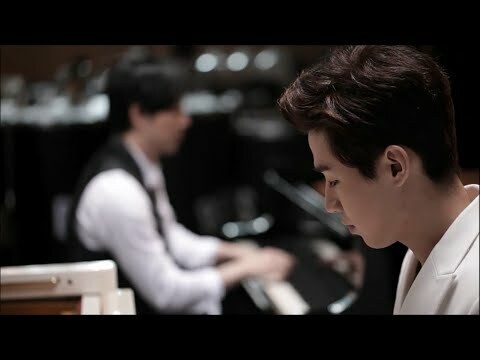 My top choice is Han Chiang. The main reason is that it offers IGCSE course. They are going to have 10 classes for Junior 1 next year. 5 UEC classes and 5 IGCSE course. Distance wise, it is comparatively closer than PCGS and Phor Tay. This school takes in international students as well. In a way, the students will have better exposure than other CIS. They also have teachers from other ethnicity. We have not brought JS to do a school visit. Shall she not able to get into Han Chiang, will she want to consider the other three. All these four schools offer boarding. But at this moment, we won’t be considering boarding. It’s time of the year again where Chinese Independent Schools start to recruit new students for 2015. 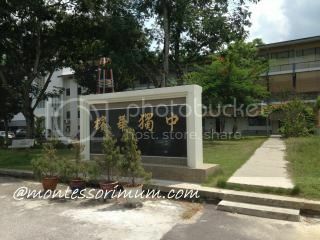 There are four Chinese Independent School in Klang which is quite near to where I am staying. Three of the schools are accessible via the highway from my township and another has to use the inner trunk road. Hin Hua is the most sought after school among the four CIS in Klang. Impressive school facilities. Maybe due to popularity, new recruits need to sit for entrance exam. This is the only one among the four that student need not go back to school on Saturday. This is also the nearest from our home which is accessible through the highway. Both Pin Hwa and Kwang Hua do not have entrance exam. These two are further away and accessible via another highway. I wonder why Chung Hua seems to the least popular one though I have heard good feedback from one of my friend whose son is studying there. Below is the comparison of the school fees. Fees paid upon registration includes Jan school fees, misc fees like building fund, donation, Computer Fees etc. I have wanted to bring JS to visit these schools earlier on. But now there isn’t need anymore. I have not really given it a thorough thought until after the first quarter of this year. All the while I was thinking, no matter where she continues her studies, the most important aspect to thrive and be successful does not solely depend on school and teachers. As someone that believes in homeschooling, I feel that the family and I also have a part to play to help her to be successful. We can always supplement her learning with whatever flaws and shortcoming in our current education system. I wish to remain positive that no matter what system we are thrown in, we just move along with the flow and work out the best of it. As much as I wish to remain positive, but I can’t help to feel a little unsettled each time this subject is discussed among friends. Can’t help not to be worried by their feedback. There are also articles on media stating the drastic deterioration of the standard of our education system. Generally, the people who are a little more informed and educated are feeling very disturbed with this news. I see so many friends and people around me opted for alternative education. Then I started thinking, if I have the power to choose, would I just do nothing and just go with the flows. Of course there will always be pros and cons on whatever system I chose for JS. There will never be a perfect system. Now, it’s a matter of weighing out which is the better option. Homeschooling is out of option as I know I wont get support from family members and without that I wont have confident to do it. Moreover, I still long for my own time to do something I am passion for and not stuck at home homeschooling my kids. Homeschool/Learning centres – Too expensive. 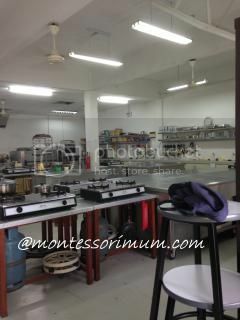 Moreover it’s not even schools but classes are carried out in shoplots. There isn’t much co-curriculum activities to participate in and need to fork out extra money to send JS for extra activities and skill classes. Option 1 – SMK in our neighbourhood. The only one in our community which is less than 5km radius from home. It’s not a bad school. In fact the school performed well academically last year for their SPM as one of the top school in the Klang district. The pro is , it is very near home. Only less than 10 minutes drive. I have overheard one parent from JS’s school mentioning that she wont consider any other school than this school for her son, as it’s the nearest. She can’t imagine her son having to travel out of this township for the next five years daily to go school. I have friends whose children are in the school. But 90% of them won’t enroll their other children in the school. According to my friends that their children are studying there, they said that the first 5 classes of every form is good class with dedicated teachers. The last few classes are the left behind classes where teachers don’t even enter classes. Anyway, that’s not the reason why they won’t enroll their other kids in the school. It’s all because the syllabus. Two years plus ago, the ministry of education started implement this new PBS system. It’s a lousy planned system whereby teachers don’t even know what is exactly going on. Teachers are spending way more time on paperwork than teaching. As it’s a assessment based system , the students are given more works and all small assessment marks are accounted for. The students are at lost. They don’t know what to expect out of the system. Everyday living in fear and stress. As they may be test in class every now and then without prior notice. And now at the very last minute, they are saying there is PTS to replaced PMR. We have one SMJK nearby which is about 16km away. It’s the sister school of the primary school that JS’s is attending. Which mean the schools are govern and manage by the same board of directors. Hubs and me had visited the school. Don’t really like the location of the school and later I found out from a friend that saying the reputation and performance of this SMJK is not as good as the SMK in our neighbourhood. 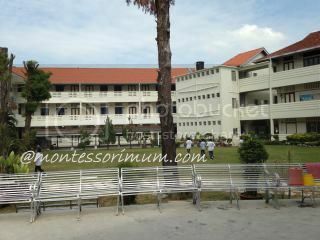 Which proof that SMJK may not be more superior and excellent than normal mainstream secondary school as many believe. We do not have any ex missionary schools in our area. Hence that is out of my option. Come to think of it, even if I have more SMJK or ex missionary schools to choose from, it really does not make much difference as what initially put me off from selecting public secondary school is the syllabus used. SMJK, ex missionary schools and SMK , all share the same syllabus. Earlier this year, I have asked my aunt’s and parent’s opinion on this matter. I also spoke to a old classmate of mine who is currently a public secondary school teacher. As for my aunt’s opinion. She didn’t say much about the new PBS system. As she is still teaching the old syllabus. She said her two daughters were the product of public school system and did quite well now in college/tertiary education. I asked if she would let her son continue in public school, she told me that if no money there will not be any other choice. I am quite surprise. My aunt is not really that poor as both husband and wife are working. I think she probably want to save the money for tertiary education for her children. I am also very surprise she didn’t mention about homeschooling whereby she is a very staunch christian. I have not spoken to her since my cousin started Form 1 early this year. I don’t know if her view of public school system, especially the new PBS system has changed her view on our public school system. I don’t know if she would let her other son goes to public school next year. I asked my friend if she as a secondary school teacher, will she let her daughters go to public school. She said, if she is financially capable, she will enroll both her daughters into chinese independent schools. These are just some collective opinions. Everyone making decision that suits their need the best. My choice will also be what suits the best of us in our situation. Sometime earlier last month, the school gave out a form for us to fill on school selection. Usually there are three options to choose from. These three options are usually within the primary school feeder zone. They also had a talked for parents. School invited the sister schools principals (SMJK CH and CH Independent School) to introduce the school to the students and parents. I did not attend that briefing. We have our reserved on letting her further her studies in CIS initial. We are concerned that she continue in a Chinese school her command of English will deteriorate. More over Mandarin is not her strongest subject. At heart, we are still very banana. ILs and hubs who has very little knowledge about CIS are concerned if the cert is recognizable. Anyhow, somehow they mellow down and agreed to let JS try for CIS. There are four CIS near my neighbourhood. All four are about 20km away from home (30 minutes drive is considered near , as JS has classmates that is attempting to enroll into another more popular CIS is KL center which is 40km away. There are students and teachers commute daily of that distant from our township). My hope for her to go into CIS is that apart from emphasizing on academic, they put a lot of focus on co-curriculum as well. I know my JS is not the academic type but excel in co-curriculum. I want her to have more choices in choosing co-curriculum and be a leader in it. This is one advantage of CIS which SMK may not be able to provide her with. Over the months, we have spoken to JS so to let be part of the decision making team. At the same time giving her the facts of all aspect of government public schools and CIS. I know deep down, her preference is to be studying in an environment where English is the medium of conduct. She likes to have friends (irregardless of races and ethnic groups) that is more “banana” in thinking – speak English, listen to English Hitz etc. Will see how things turn out to be. Given some reasons, there are friends who suggested us to relocated to the island where there are better school choices. Which over months of thoughtful consideration, the decision is now final. It’s the time of the year where parents of Standard 6 students are in cross roads again. It’s time to decide where to let their children to further their studies as choices can be aplenty. Well, often parents don’t wait until this last moment to make decision. Often than not, they have already make up their mind much earlier, as early as when the students are still in Std 5. It’s interesting to note that even in our public schools, there are many categories of it. Chinese primary schools. Chinese principal running the schools. Of all these public schools, it’s common for students to be assigned to any normal academic day schools (including SMJK and former missionary schools) near where they stay. Those with excellent academic result can put in application to get a place in cluster schools. As for the other subcategory public schools especially like the Mara Junior science college, it’s a little hard for non bumiputra to get in. As there is always a quota for non bumi students. And of course religious schools is also out of our options. Lately, JS is into learning how to play the ukulele. She is a self learner and learn how to play through tutorials found on youtube. She claims that compared to the piano, ukulele is easier to learn. However she may want to explore the other musical instruments. She was browsing through musicans friend to look for other musical instruments that might strike her interest. 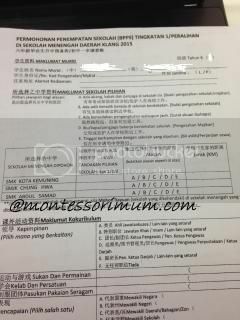 In another two weeks time, JS will be sitting for UPSR exam. I am eagerly waiting for it to be over. I don’t know if I am more excited than her that this whole episode is finally coming to an end. I don’t think we are stressed. Everyday is just like any other normal day, she still have time to rest and draw, I didn’t really see any unreasonably increased of workload. But I know they have been constantly drummed and brainwashed in school that they should aim to achieve the best to an extend she finds it long winded and annoying and stress inducing. I feel weighed down by it too. I don’t feel stress, but I feel it weighing on me and I just can’t wait to heave a sigh of relief when the whole thing is over. We are not aiming for 7As for sure. She has never been a straight As student. All these 6 years, she had it easy and relaxed. Only this year, I started to put a little emphasis on her that she should put in more time for revision. We cut down a lot of homeschool activities. We have not really missed school that much this year compared to the past few years and I gave in to the school and let her join the Saturday extra class and for the last one month even on Sunday too . (Though we often skipped class). As long as she doesn’t get Cs, I am happy with Bs. We know how insignificant this exam is. ( I know too well, I was a straight As student during UPSR but it did not and would know determine how successful one will be in the future. So why waste time and energy on it? ) I told her, as long as you work hard on the 80%, you should have fun and enjoy the other 20% of your time. Hub and SILs keep telling her as long as she tried her best, that’s is the most important. My SILs even told her, they were never the best in academic but good enough and they are very successful now, as long as she put in effort. So , here we are , counting down and can’t wait to have it over. So that she can start having sports lesson in school, can draw, and design and can bake like once she used to. She is planning to host a farewell party at home, we will have loads to do after her UPSR as we need to pack for the move as well and the most exciting and causing me to have anxiety is know whether she will get into the school our choice next year. The result of the entrance exam will be released the day after UPSR exam. That is one part of the reason why I can’t wait for UPSR to be over. Oh , and the week long school holiday too. When I got to know that BrandThink Malaysia on behalf of Mattel offering to send bloggers the latest installment of the Monster High doll – Frights, Camera , Action! along with the DVD in exchange for an honest review, I was very excited to take up the offer. I have heard my girls mentioned about it before and am sure that they would love to have me do the review. Even though I have heard of Monster High, i don’t have the faintest idea what it is actually about. I assumed it is a character in one of the TV cartoons. My kids have limited PC and TV time and yet they are quite up to date on the latest happening. 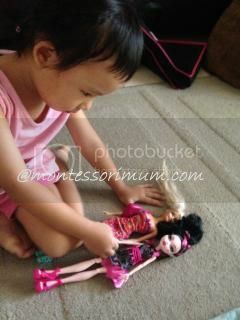 It’s very obvious that I am still in the Barbie’s era , though that know there’s Winx, Bratz and now Monster high. JS told me it’s a web series and not shown on TV and that she watches it on youtube. *oh ok. This is what we received. A DVD and Monster High doll to our toy collection. This is the girls first Monster High doll – Frankie Stein. 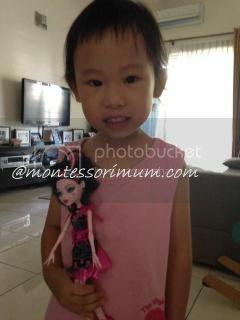 JL and JE were thrilled to have a new doll to play with. I let the two young ones watch the DVD first. When I first watch it, I don’t quite like it. I find the character to be too gothic. I don’t like the fangs on Frankie Stein. But after sitting through the movie, I find the storyline quite ok. I also found that it is very creative to have the characters depicted as being either related to or as offspring of famous monsters such as Dracula, Frankenstein’s Monster, the Mummy, Medusa,Phantom of the Opera, Zombies and more. What caught my attention was the extensive use of humorous horror puns throughout the movie. Like calling all the female characters as Ghouls rather than girl. London as Londoom, Hollywood as Hauntlywood. Of course the two younger kids won’t catch these puns, but when I re-watch it the second and third time with the two older kids, it strike a chord with them and can’t help to find how creative the author is. They can even recognize TCL chinese theater in the movie. I personally find that the Monster High series should be watched with parental guidance for younger kids. As the whole storyline is evolving around high school life and high school girls where they are into fashions, girls/boys relation, celebrity crush and even calling names and making nasty remarks. This blog is in a semi retired mode. There were times that I feel like reviving it, but after I logged in, I don’t have the mojo to blog. I no longer know what to blog about and wonder if there’s anyone still read blogs since FB is so common now. I can control who can read my updates. I don’t know what’s the purpose to share what we are doing with the public, with people that I don’t know. The urge of reviving the blogs came few months back when I found out that one can still earn some decent pocket money through blogging. I was invited to an event and was paid fairly well. That is when I started thinking if I started maintaining this blog again, be active in instagram and tweeter, perhaps i could even earn more. The thoughts keep playing in my mind but I have never really taken action, spending most my time online surfing and fb-ing instead of productive work like re-learning about SEO and such. Today a long time blog friend brought up the topic on Adsense again. It’s like sparking up everyone’s interest to start blogging again. Ok, time to do some serious learning to learn all about SEO, keywords and backlinks again. There is a possibility that we will relocate AGAIN. We haven’t got our keys yet, but has plan for renovation already. Have been checking with contractors to get quotation and choice of materials for the kitchen builds in. Was thinking maybe for a change, we can try wood veneer sheets for our kitchen cabinets. We are still waiting for final quotation. Will decide later. This is a Flickr badge showing public photos from Shuen_Hanh. Make your own badge here. My blog is worth $50,808.60.